Orthodontics offers many benefits for adults. In addition to improving the overall health of their teeth and bite, many of our adult patients see improvements in both their personal appearance and self-esteem. We "accept most insurance plans/ CareCredit" and offer interest-free payment options that span the course of treatment to accommodate your economic needs. Dr. Peter J. Magoulas would like to welcome you to his web site. We are located in Shrewsbury, New Jersey and service many towns in Monmouth County and Ocean County; including Middletown, Lincroft, Rumson, Fair Haven, Tinton Falls, Colts Neck, Holmdel, Red Bank, Little Silver and Eatontown. 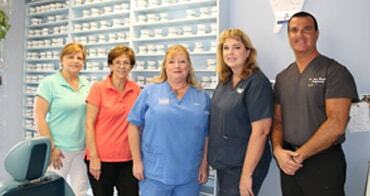 Dr. Magoulas and his staff pride themselves on highly personalized care. They always make themselves accessible for questions or concerns, whether in office or responding to a telephone call. Often, Dr. Magoulas is one-on-one with his patients explaining that day’s visit, treatment goals, monitoring hygiene, and enhancing motivation. Our office has state-of-the-art instruments, orthodontic appliances, x-ray machines, and computer software to ensure overall efficient treatment. We also have a large and comfortable reception room, with a token-free arcade and game wheel (where you can win great prizes with tokens handed out at orthodontic visits). The environment is open and very kid, as well as adult, friendly! 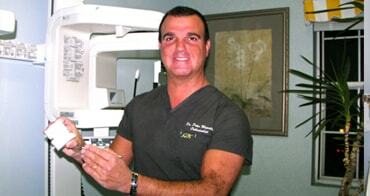 Dr. Magoulas prides himself on highly personalized care. He always makes himself accessible for questions or concerns, whether in office or responding to a phone call. He is one-on-one with his patients explaining that days visit, treatment goals, monitoring hygiene, and enhancing motivation. Our staff is proud of the fact that they have been working together for over 20 years. You will feel well taken care of because of the added attention provided by all of the staff when visiting the front desk or while in the orthodontic chair. Our orthodontic office is conveniently located in Shrewsbury and is very accessible if traveling from surrounding towns. The office boasts easy in and out access, the parking is off-street and parking spots are ample. This option is for more complicated cases where more extensive teeth and/or jaw movement is needed. Braces are placed on all upper and lower teeth to achieve optimal alignment. This option is for mild teeth, jaw and teeth/jaw related cases requiring correction. In these cases, braces do not need to be placed on all teeth, usually bands on the molars are not required. In this option treatment is completed in 2 phases, called Phase I and Phase II. This option is for children who have not yet lost all of their primary (baby) teeth, but need to start orthodontic treatment. These types of appliances include spring retainers and palatal expanders. Spring retainers are removable and easy to use, and can be worn on upper and/or lower teeth to get them aligned upper. This type of appliance is removable and it is used to protect the teeth, jaw and temporomandibular joint (TMJ) in individuals who clench or grind their teeth. It is usually worn during sleep. We now provide 2 lines of sports mouth guards for both children and adults. These sports mouth guards are custom made and provide extra levels of protection from impact for teeth for both the athlete who is in braces or not.